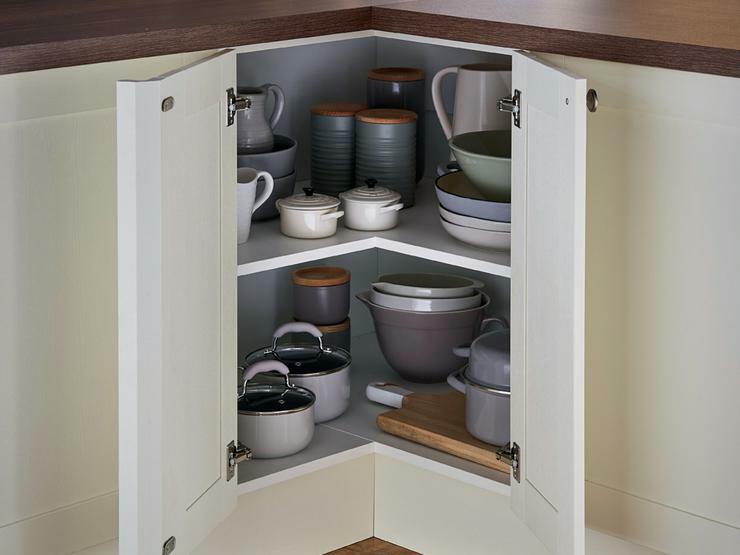 Kitchen cabinets can minimise clutter and make the best use of your space by adding valuable storage in your kitchen. 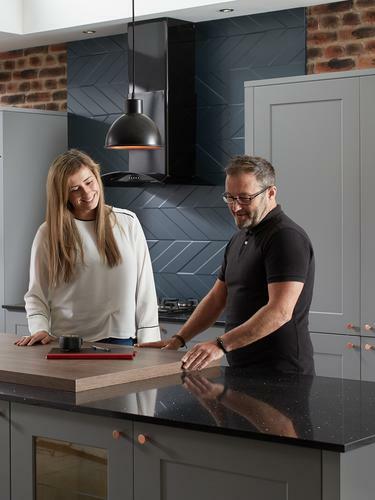 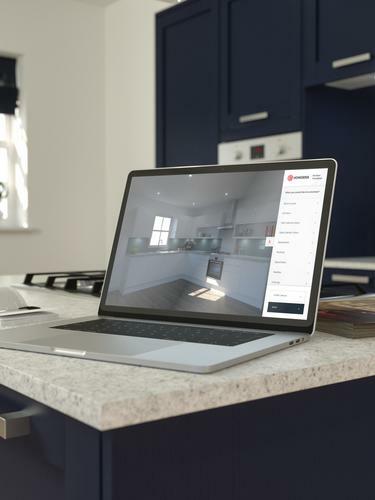 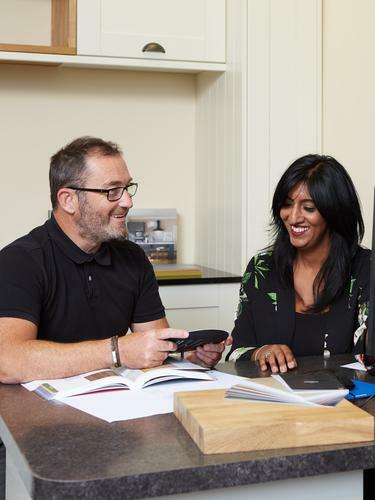 When space is at a premium, you can create a bespoke look with kitchen cupboards by carefully selecting your choice of base, wall and corner units that are available in a variety of widths for the best fit in your home. 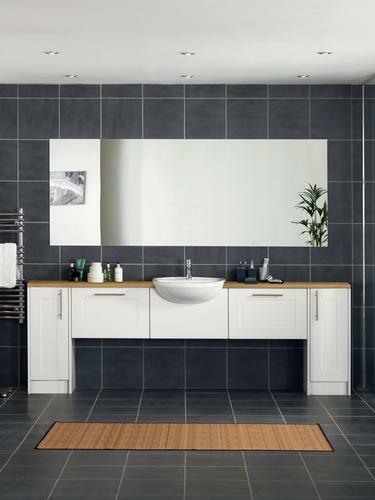 There are pre-assembled or flat-pack options available to suit different budgets, layouts and access requirements. 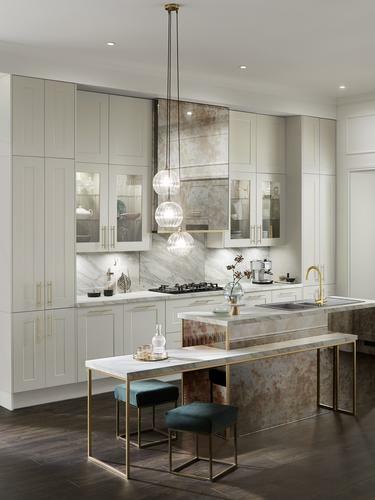 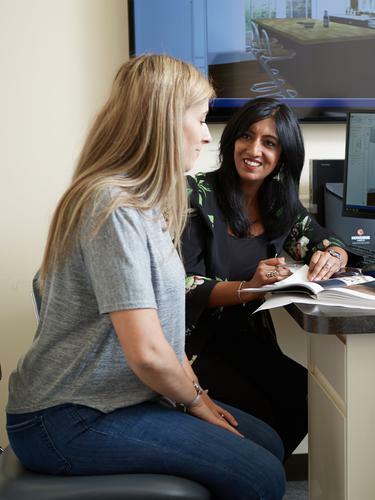 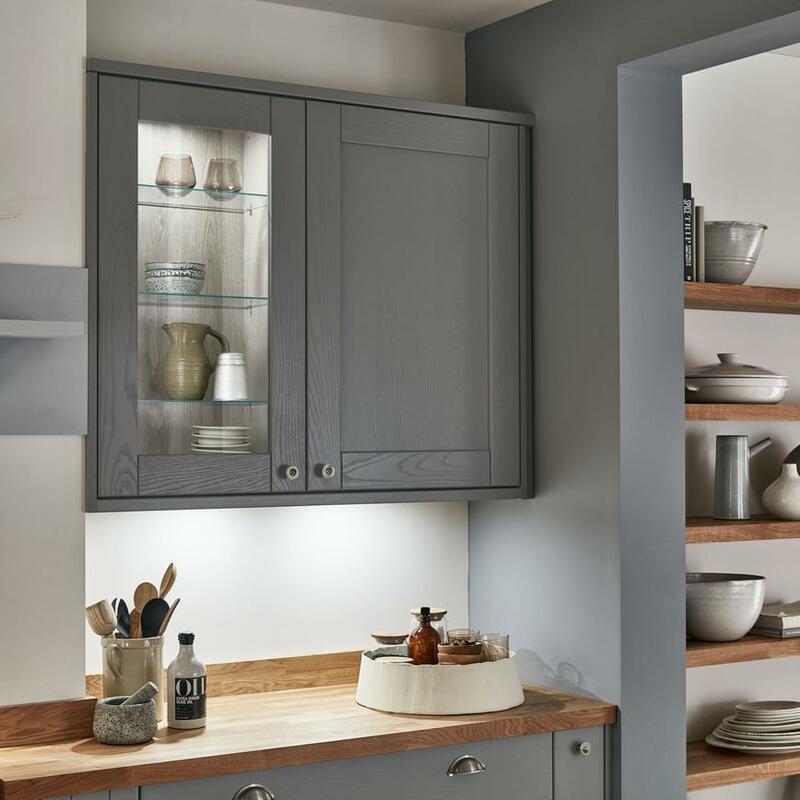 You can also upgrade your kitchen cabinets to include soft-close features and fully extendable drawers, keeping smaller kitchen gadgets and utensils organised and close at hand. 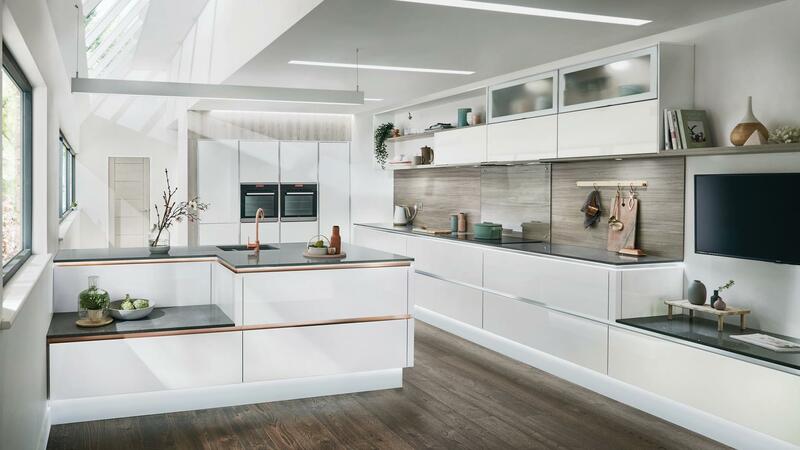 There are more than 600 cabinet options in our range, from extra tall cupboards and larders, to deep pan and extra-wide drawers. 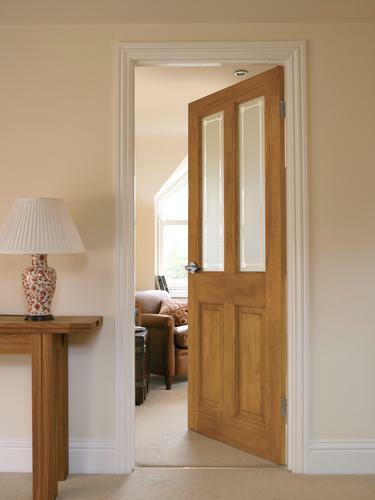 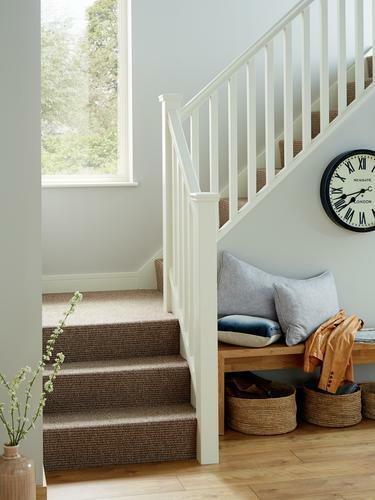 You can choose from three colours too, including on-trend grey oak, natural oak and white finishes. 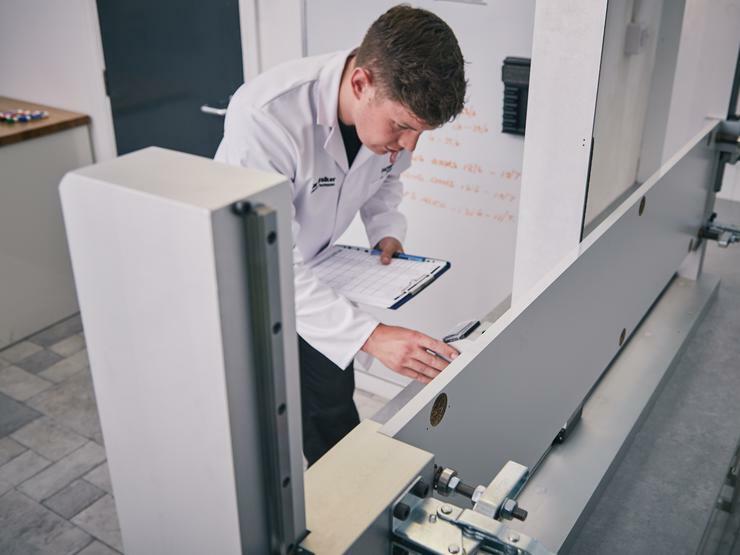 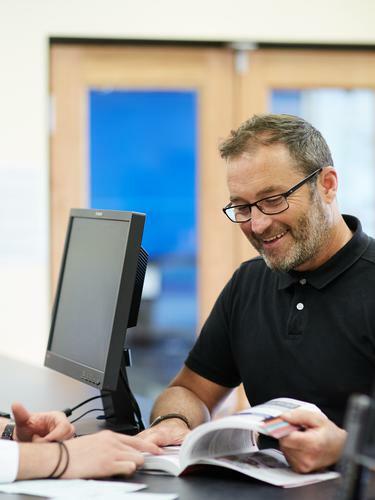 Our cabinets undergo rigorous testing and come with a 25-year guarantee for peace of mind. 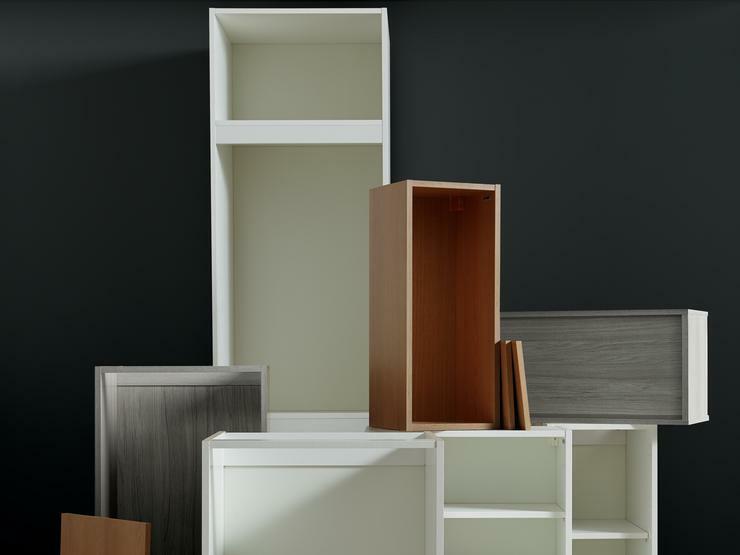 Our Rigid range includes ready-assembled kitchen cabinets, upgraded features and more cabinet colours and sizes. 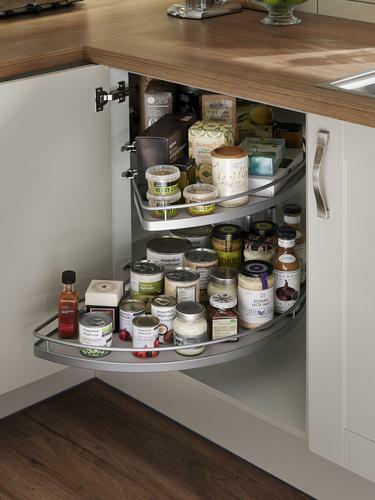 This makes it easy to customise your storage and reduces fitting time, so you can enjoy your kitchen quicker. 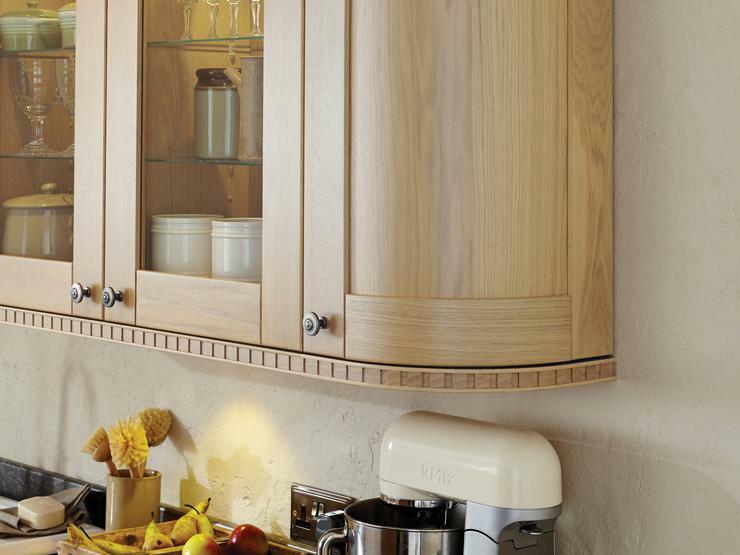 Curved kitchen cabinets are also available to create a softer and safer layout. 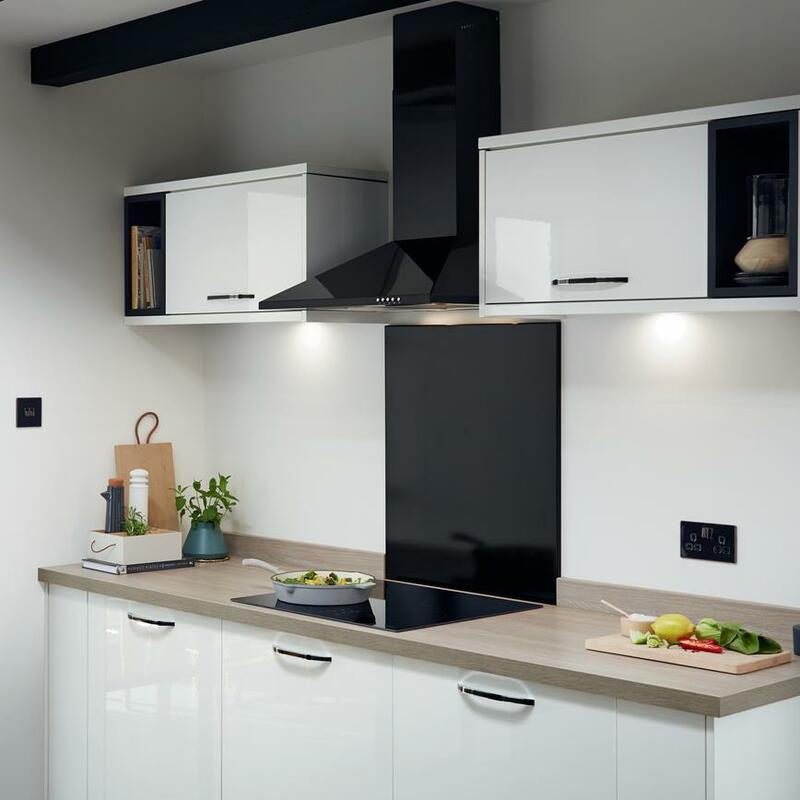 Our Technik range includes flat–pack cabinets that are compatible with all of our kitchens. 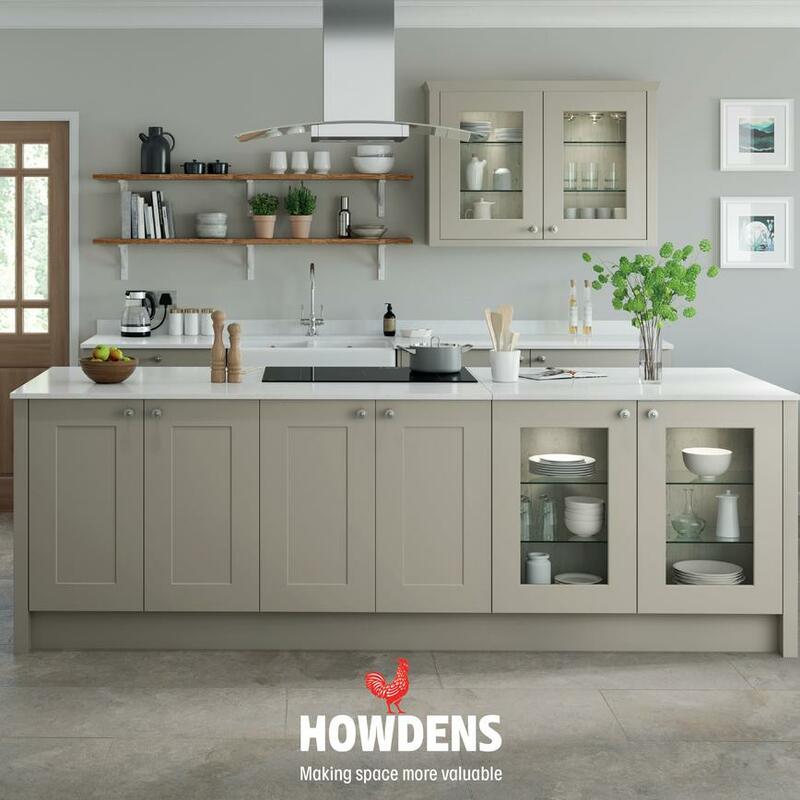 Flat-pack kitchens are a sensible choice if your room is compact or where access to your property is limited. 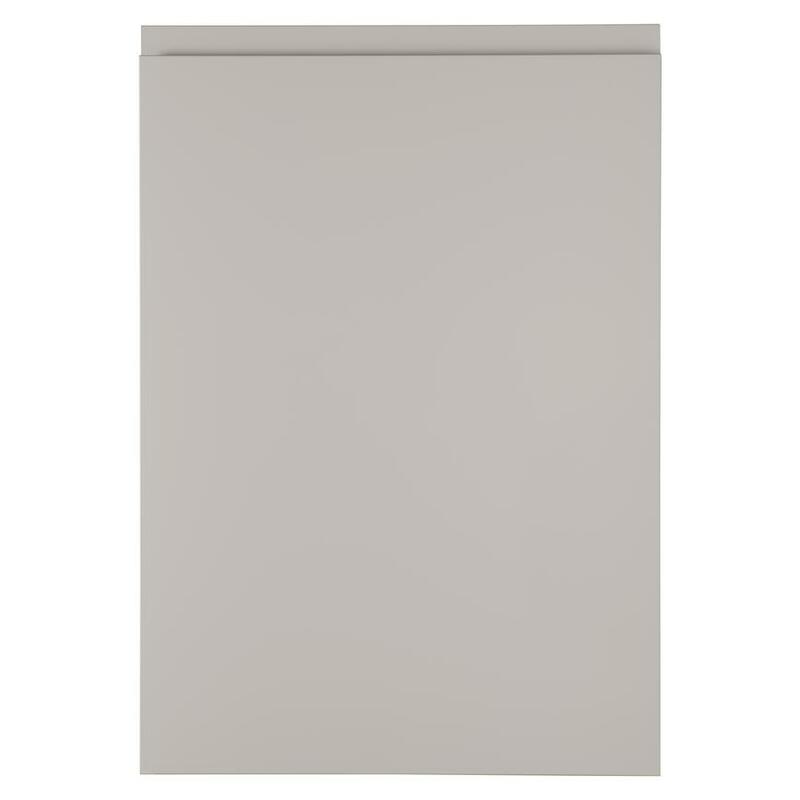 Our Rigid cabinets are available in three colours with new light grey oak added to our range.  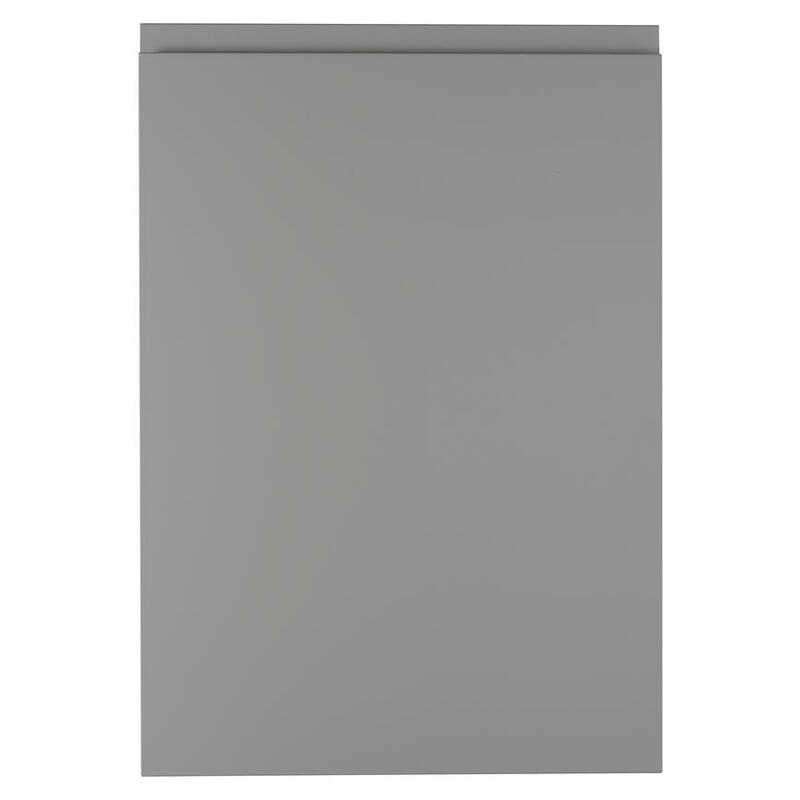 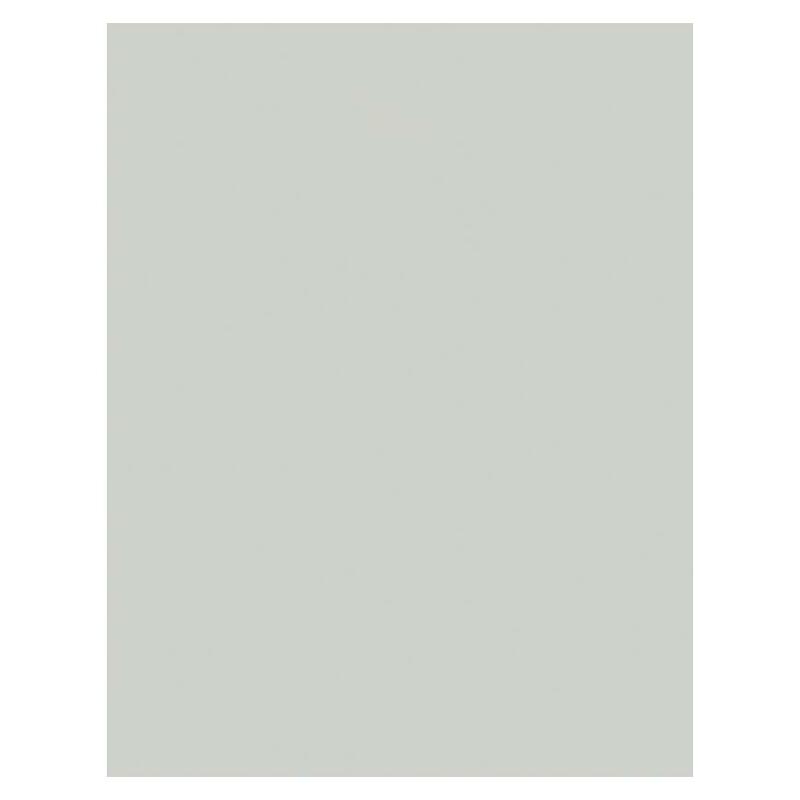 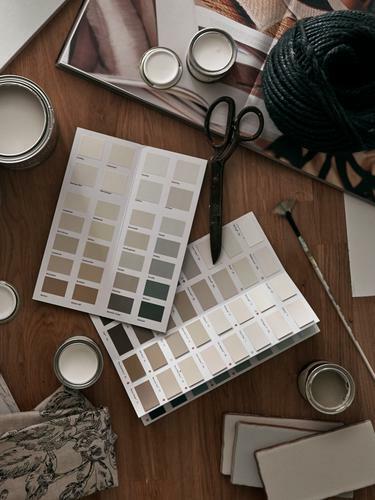 This new shade is designed to complement our on-trend grey kitchen cabinet doors. 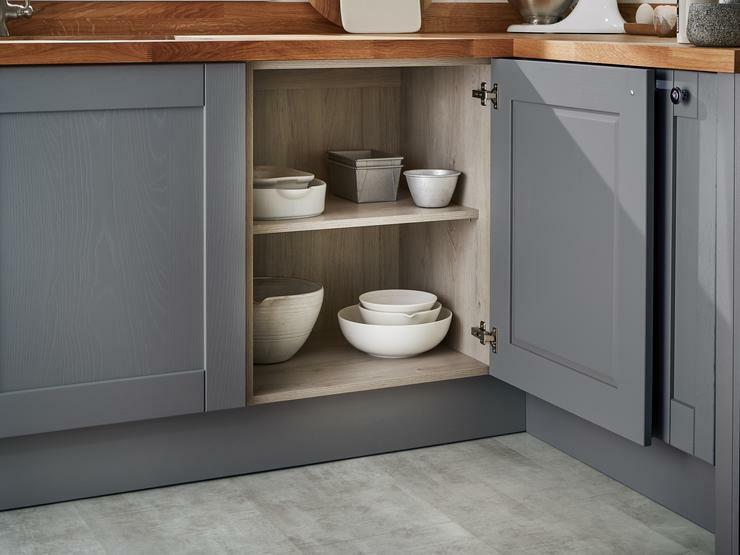 Extra tall and extra deep kitchen wall cabinets in our Rigid range offer up to 65% more space - great for making the most of a small kitchen or for adding extra storage. 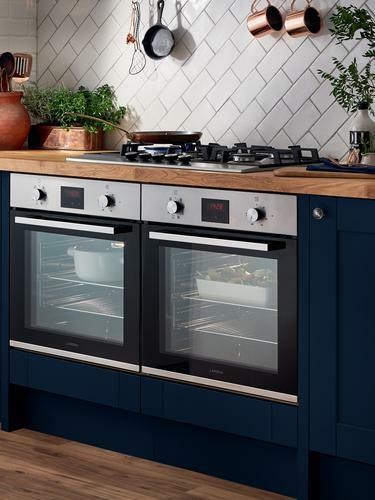 Our Rigid range now includes curved cabinets, which are available in Tewkesbury, Fairford and Chelford kitchens. 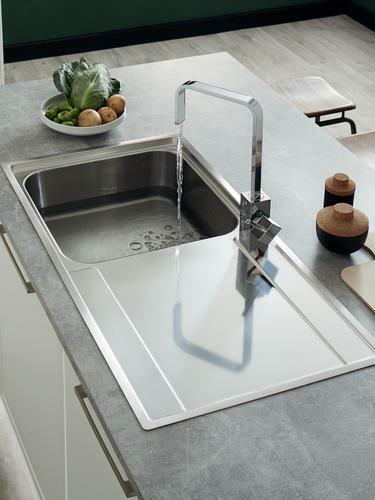 Great for creating a flowing design, curved cabinet doors are also a safer option for those with little ones. 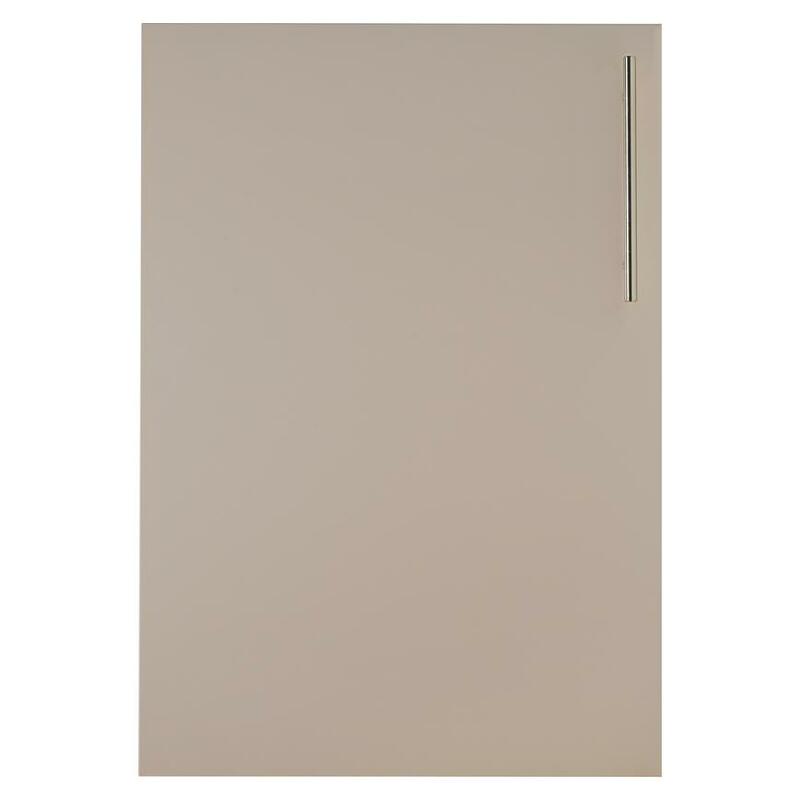 All our cabinets have a 72mm gap at the back of the unit for plumbing, gas and electric supply. 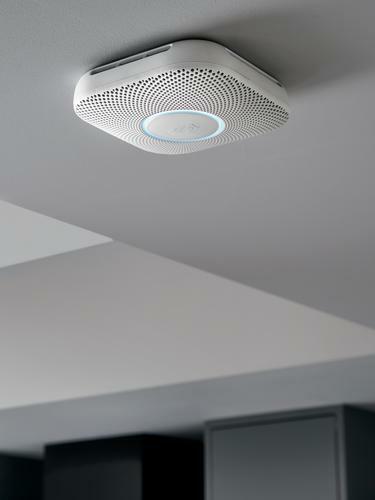 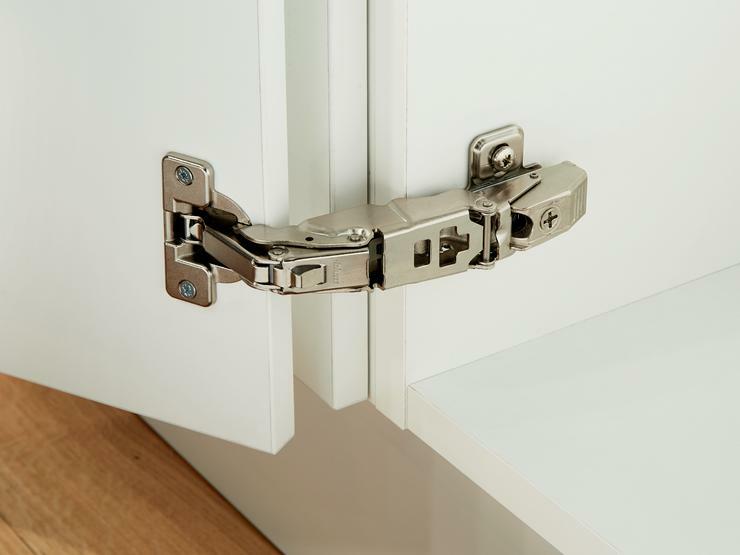 This makes it easier to install our cabinets, especially in properties with uneven walls. 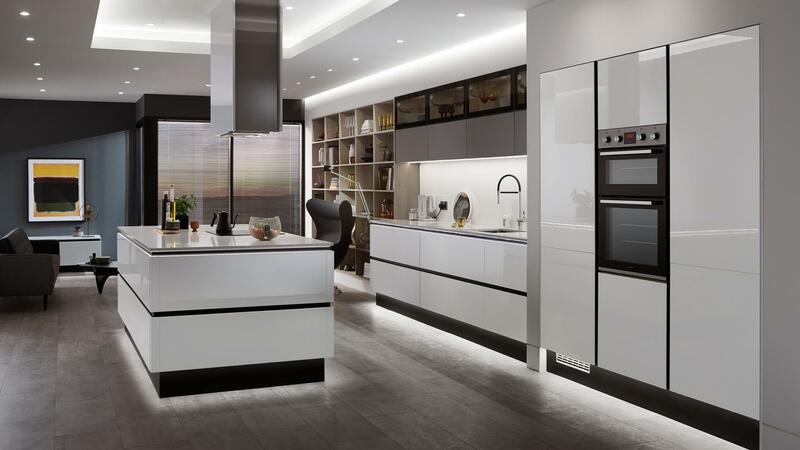 The wall and base cabinets in our Technik and Rigid range include hinges with a wider opening of up to 150-degrees. 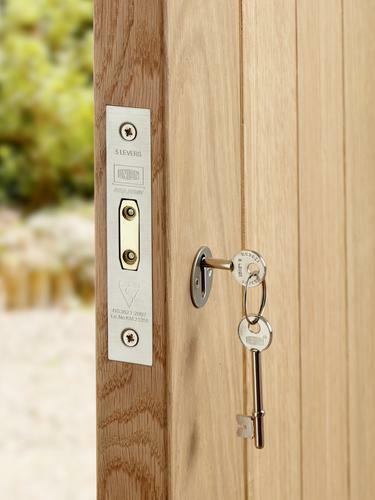 This makes your storage easier to access. 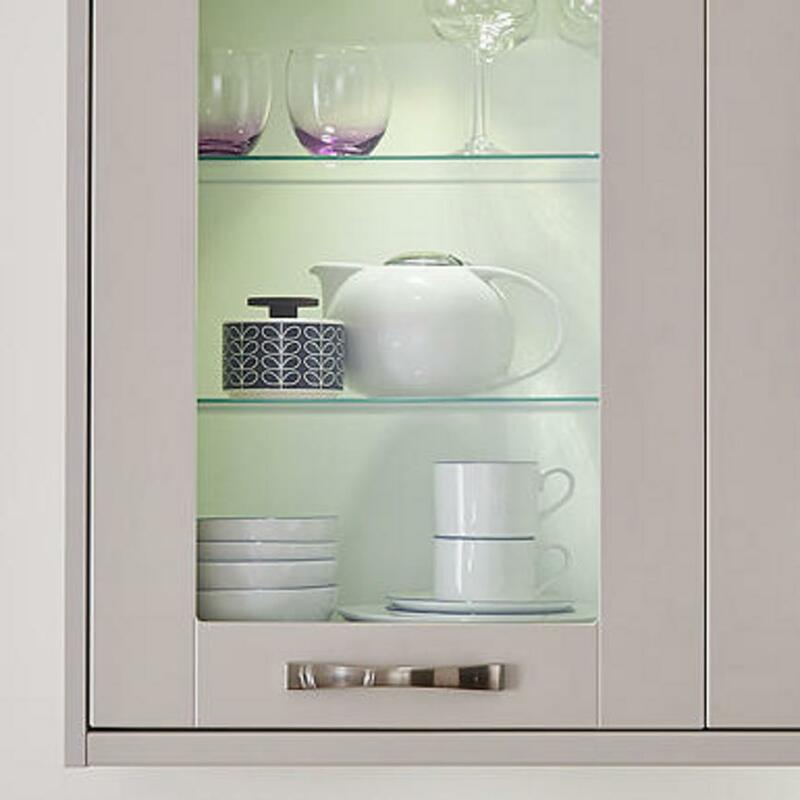 All of our cabinets have height-adjustable shelves to better organise your kitchen cupboards. 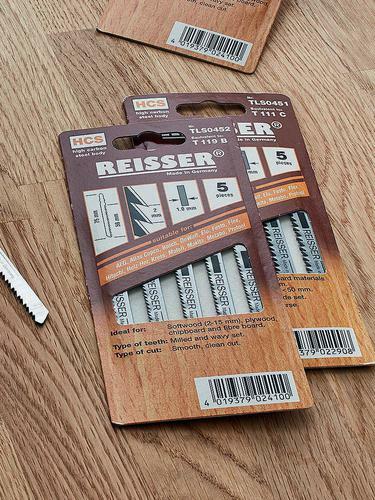 They also have durable shelf edges to prevent wear and tear for a longer life. 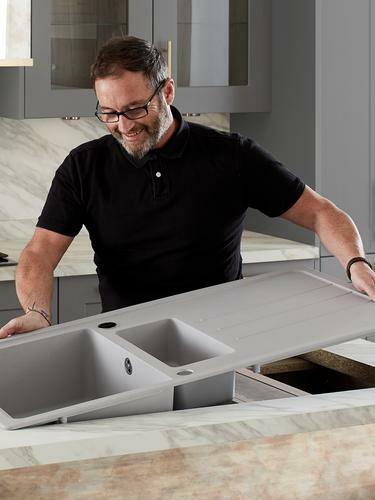 Drawer systems are a popular choice in the home because it is both functional and stylish. 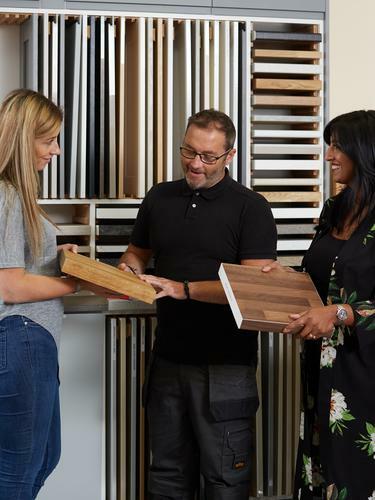 Here are some design tips and features to look out for when choosing our drawer options. 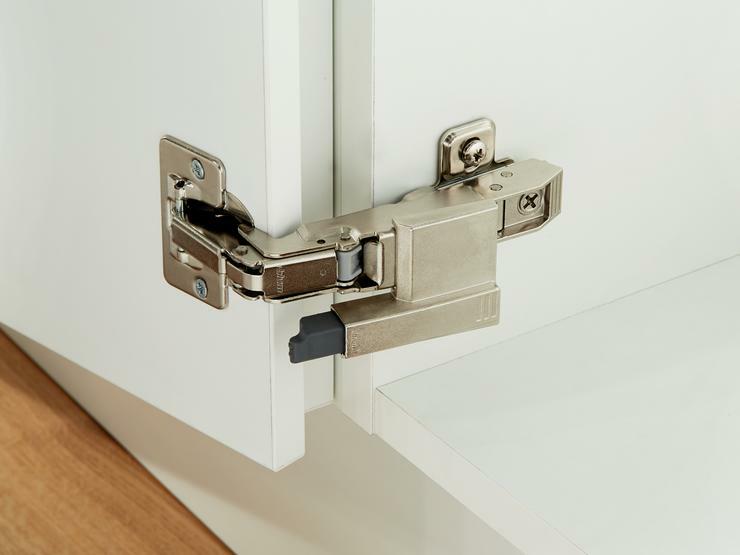 Standard drawers make accessing your essentials easier and with our upgrade drawers the drawer is fully extendable. 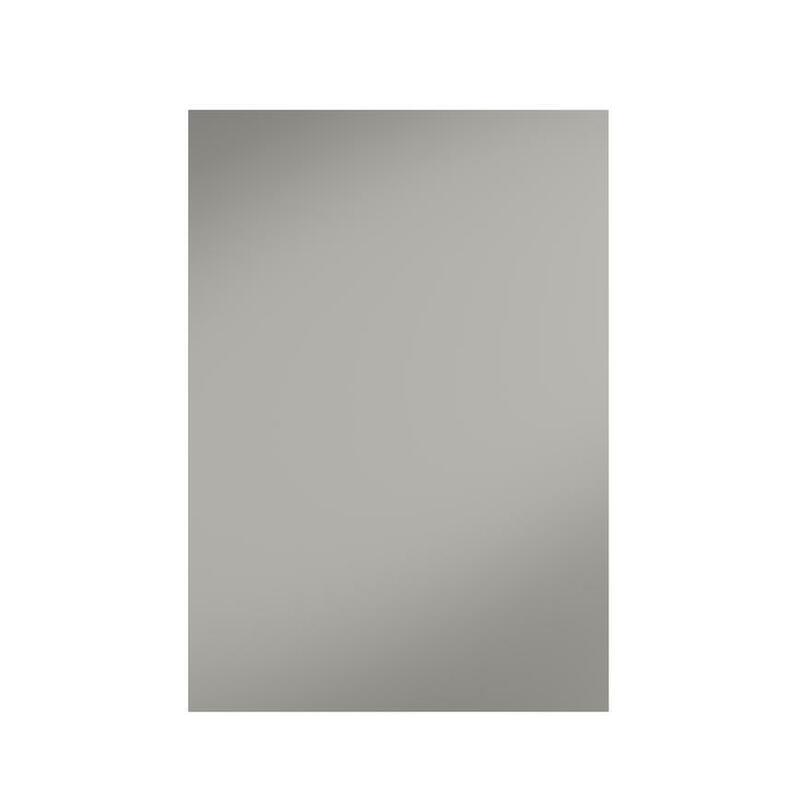 So, even those items at the back of the drawer are within easy reach. 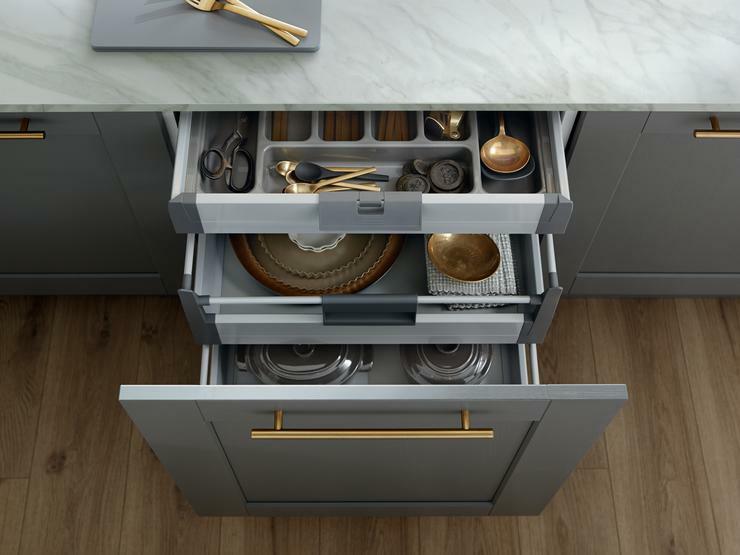 With our upgrade drawers, a soft-close mechanism comes as standard. This protects your drawer from wear and tear and reduces noise in your home –great for an open-plan design. 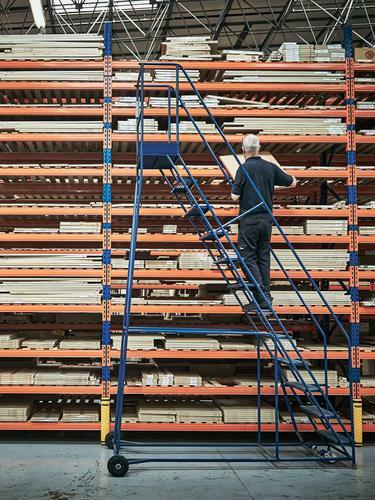 Our drawer systems come in an extra-wide size up to 1000mm. 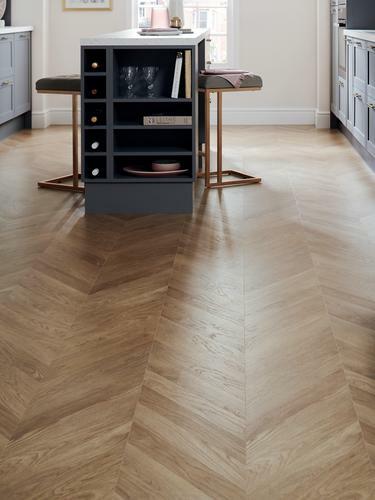 This maximises your storage and will add uninterrupted, horizontal lines to your design, making your room appear more spacious. 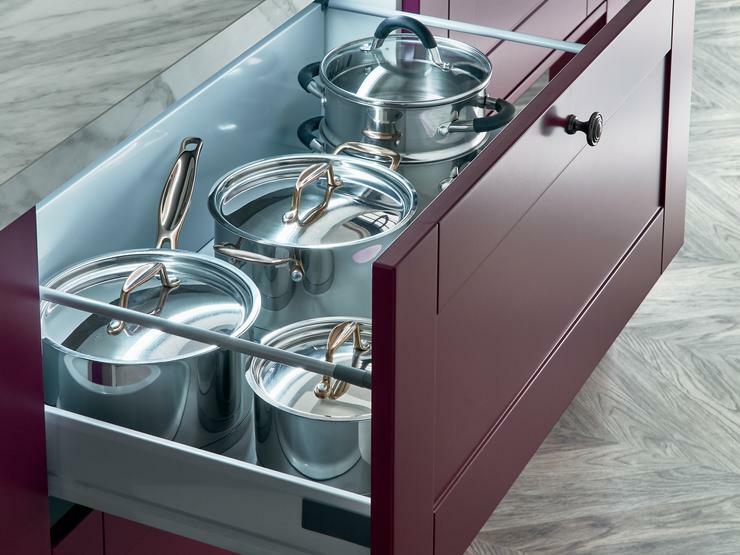 Our drawer options include pan drawers which have a deeper design for storing large dishes, pots and pans. 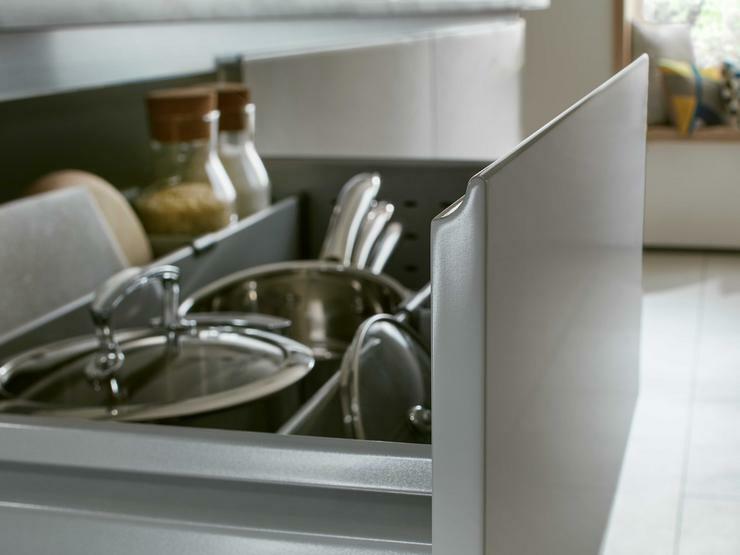 Add these drawers to your kitchen to create a clean and uncluttered look. 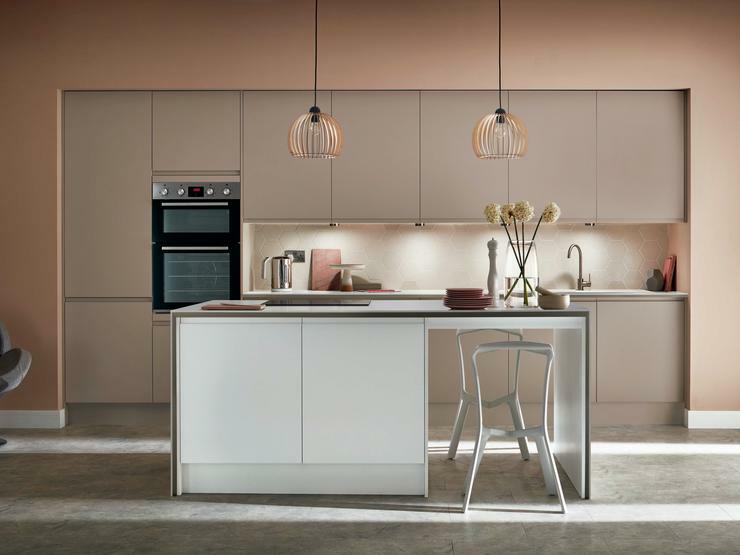 Our kitchen cabinets are designed with features that stand up to modern living and come with guarantees that give you total peace of mind that they are built to last. 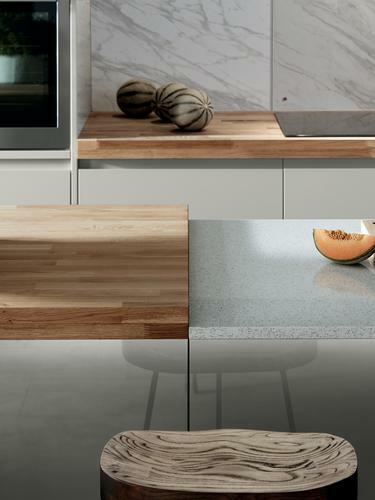 All of our kitchen cabinets are guaranteed for 25 years, ensuring they will last in your home for many years to come. 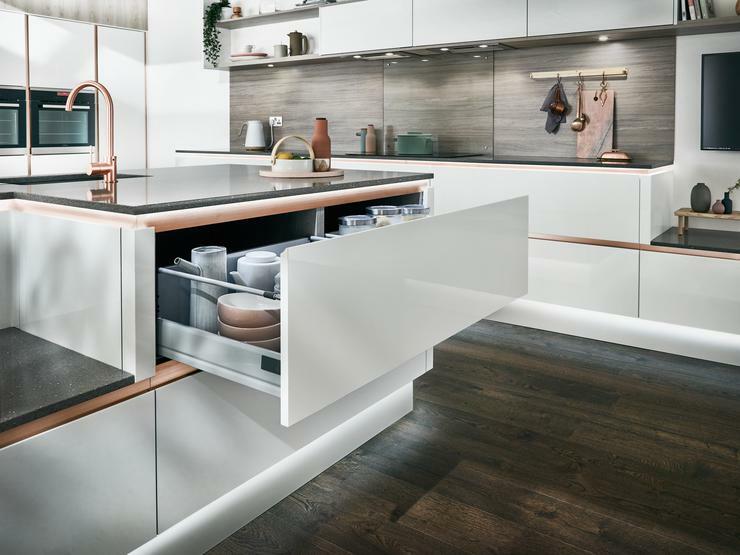 Many of our Rigid cabinets come with pre-fitted accessories to maximise storage and provide easy access to your ingredients and kitchen utensils.